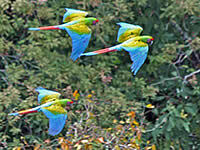 An abundance of wildlife is protected by the Sierra Gorda Biosphere Reserve where the World Land Trust (WLT) has helped purchase and protect more than 1,800 acres. This exceptionally diverse reserve has 15 vegetation types, including tropical evergreen forest, tropical deciduous forest, xerophyllus scrub (flowering grasses), oak forest, coniferous forest, pine-oak forests and cloud forests which make it a haven for a huge variety of species. 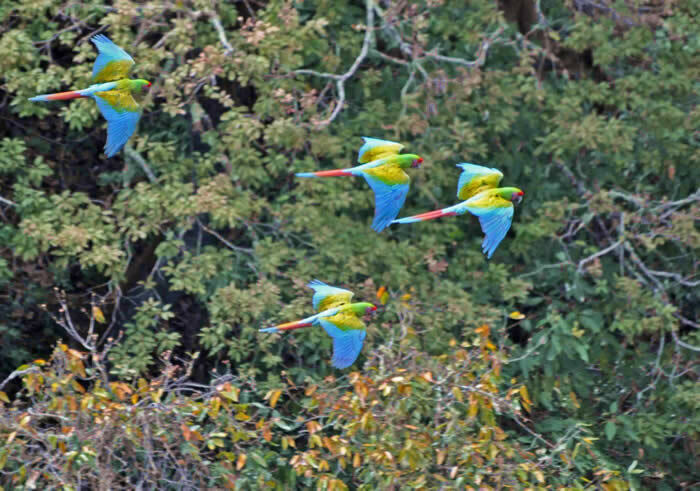 Over recent weeks there have been remarkable sightings of wildlife, including 60 macaws which were photographed at El Barro, one of the many impressive sinkholes on the Reserve. 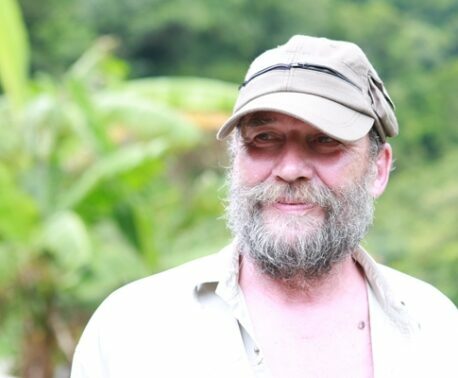 The photographer, Roberto Pedraza, Technical Advisor for WLT's partners, Grupo Ecologica Sierra Gorda, also photographed several green parakeets at another sinkhole not far from Las Arenitas. 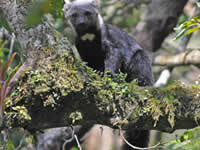 He was also lucky enough to record the first ever sighting of a Tayra (Eira barbara) on the reserve. The Tayra is a member of the weasel family also known locally as "weird cat" and "old man's head". 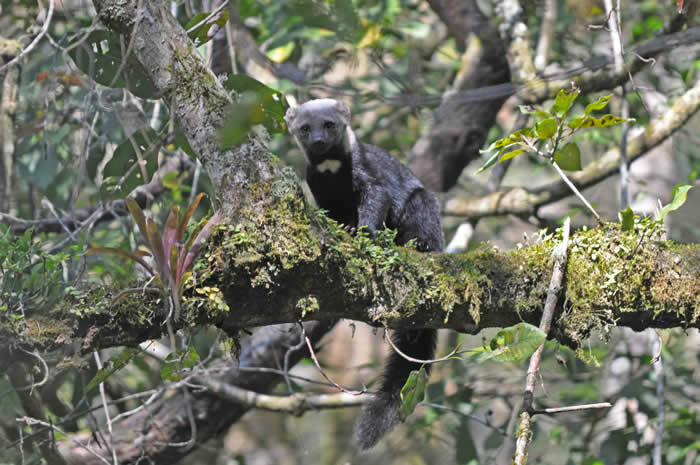 Although listed by IUCN as of Least Concern, numbers of Tayra are decreasing, especially in Mexico, due to loss of habitat for agriculture. Roberto was especially excited by the sighting, writing in an email: "Yesterday we had a once in a life-time experience, a close encounter with a rare species, three beautiful Tayras, never seen before and never expected, as they are extremely rare. We had the chance because I really wanted to photograph green parakeets in a sinkhole (not so far from the Arenitas) so we arrived there quite early. After an hour and half we heard noise in the litter and the Tayras just appeared!! One of the three climbed a nearby tree and just stared at us, so we had the chance to take several photos that turned out extremely well."